Baptism & healing. Congregations standing on the banks of a small river on the north-West outskirts of Soweto, beyond Naledi, where there were a series of pools suitable for the full immersion required for both baptism and healing. 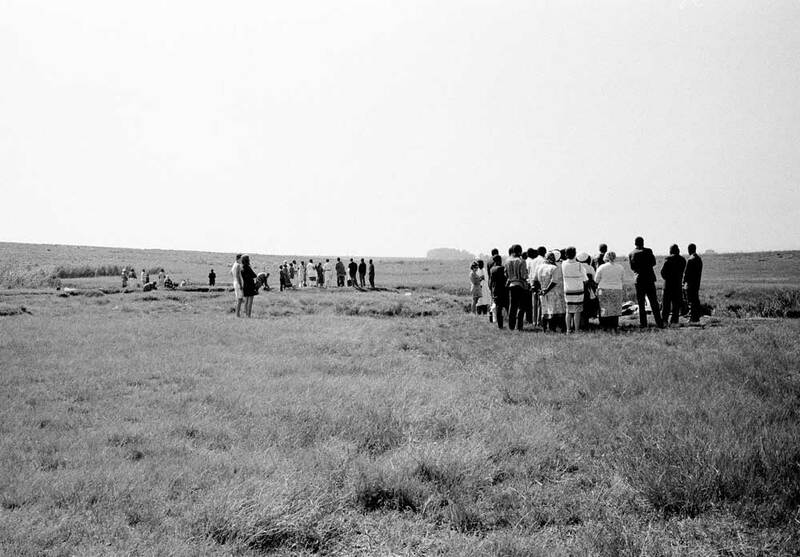 West, Martin, “Congregations on banks of river during healing and baptism ceremony,” Martin West, accessed April 20, 2019, http://www.martinwest.uct.ac.za/items/show/10441.